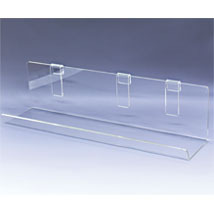 Heavy duty, extra large acrylic shelves can display videos, candy and other promotional items. 2 1/2 in. lip keeps products in place.